Preparation. 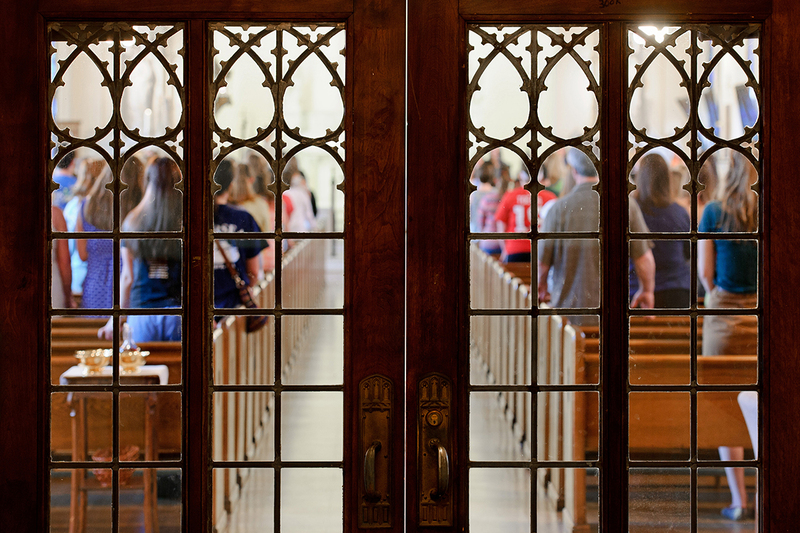 Saint Mary’s prepares you for life, not just a career. The Belles Against Violence Office (BAVO) educates students about sexual assault, relationship violence, and stalking. These are real dangers in college life. That’s why we empower our Belles through required programming for incoming Belles and their parents. What to look for in an unhealthy relationship. Bystander intervention skills to protect your friends. How to report a sexual assault; who can you talk to confidentially; and who can you talk to on the record. Terms you may not have heard of, like Title IX, and how this federal law protects you in the case of sexual assault. What survivor resources there are on campus and in the community. BAVO is not a one-and-done experience. There are BAVO-sponsored events year round. You may want to do more with BAVO. Involved students develop transferable leadership skills, regardless of their career and vocational path. Galicia Guerrero ’14, a former leader with the Student Advisory Committee, had a transformative experience. In addition to running programming, BAVO offers students confidential support and advocacy services. Spend some time with BAVO and you’ll see why the office serves as a national model for other colleges. You may find yourself sharing what BAVO taught you with your own family. Now that’s preparation for life. CURRENT STUDENTS SEEKING RESOURCES, SUPPORT, AND HELP, email Karen Johnson, Vice President for Student Affairs, at kjohnson@saintmarys.edu or call 574-284-4571.